I think this happened on any page which uses JS. An upstream bug (linked from here) in the JS JIT results in segfaults. it should briefly open a window and then segfault before the fix, and successfully load the webpage after. again you should see a segfault (coming from webkit) before, and a lovely slideshow after. This might make webkit a bit slower on armel/hf. It shouldn't be too bad, but perhaps exercise a bit by browsing around in epiphany-browser to see. On panda, I'm hitting this crash on the 20121012.2 image for quantal. OLPC is moving from xulrunner to webkit. This is working great on our x86 laptops, but not on our latest ("XO-1.75") ARMv7 laptop. 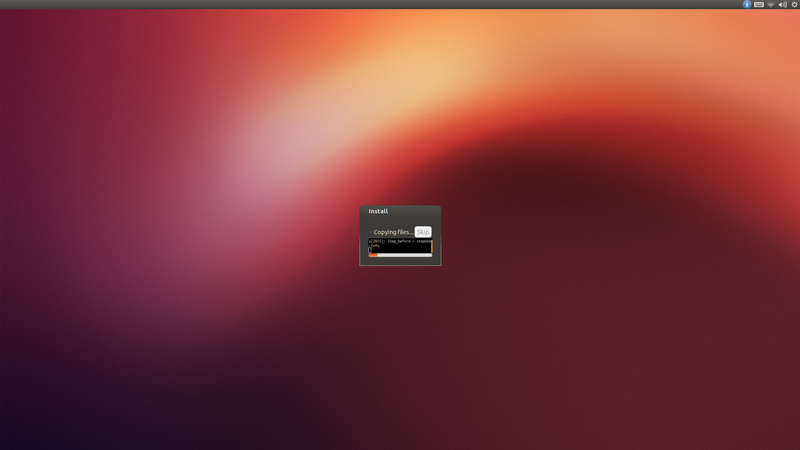 We are running Fedora 17 with webkitgtk-1.8.1 (GTK3). The crash can't be reproduced on identical configuration on x86. Recompiling webkit with --disable-jit "solves" the issue. So it seems to be a bug in the ARM JIT. This would also explain why gdb can't tell which library this code is coming from. Anyway a reduced test case would also be helpful. Thanks for looking at this, Zoltan. Finding a less complex webpage that reliably reproduces this is difficult. On other sites we're finding that it crashes, but not always. I'll keep an eye open though. > Is that what you're looking for? Yeah, if the constants are not changed. I mean pc+#33757136 can be different if you rerun the program. Ah an idea! Instead of x/i write it as x/x and the x/x number again. I mean lets pc+#33757136 be 0x49f0ed40. Type x/x 0x49f0ed40 it will write you a number. x/x that number again, and tell me what it is. I'm working from the same core dump so nothing should change. Yes, I agree it looks strange that it is jumping right into the middle of a function. I'm not in a good position to test webkit trunk at the moment. I will try to build it on Wednesday. In the mean time please let me know if you have any other ideas. > Yes, I agree it looks strange that it is jumping right into the middle of a function. Unlikely. I think this is simply the closest symbol gdb can find. 1536 is just too big. Could you check whether their constant points to a valid function? So this is the only exception or something totally messed up in the constant pool. Sorry, think I've wasted a bit of your time. It looks like I had installed a different webkit build since the crash, and this was affecting the gdb output. Putting the right build back (the one from which the core was captured), I get different output. So, stepping back a bit. This looks suspicious. Does it tell you anything? No problem. This is entirely different now. > This looks suspicious. Does it tell you anything? Working from home today, with a different laptop. So not using the same trace as earlier. Lets start over with a new crash. Lets try this calculation by hand. PC is always 8 bytes ahead of the current instruction, so pc=0x499fe5d4 + 8. Then we add 12638680, and we read from that memory location. But gdb's annotation said 0x499fea44. After asking around a bit I've been told that the number inside the square brackets is not to be taken literally. It includes flags and other things. However, the address in the annotation can be trusted. So, lets check the memory at that address. And lets also recall that r8 was programmed with this address before we branched. Checking back to the original register dump, r8=0x41d9f3e4 which is the same as cti_op_resolve_global. Things are making some sense. The offset in the str/ldr lr lines of 3118288 is huge of course. Again I think we have to ignore it. I think the offset being used is 0x40, as shown by the comment. I don't know exactly what's going on here but I experienced that this kind of crash, related to lr and pc values, could be occurred when cache flush was not run in the requested range. This makes sense, and there is a third option. Actually the purpose of such stub code is allowing returning to anywhere in JIT, mainly used by exception handlers. So the return value is stored on the stack (like x86), can be changed (like a buffer overflow attack, but this is intentional here) so the c++ function can return anywhere, including a catch handler. Just FYI, I have a feeling that finding a simplistic test case will be difficult. Sometimes when the crash happens, I go back to the same page and it loads just fine without crashing. gmail seems to cause the crash every time, but sometimes it takes a good few seconds longer than normal before the crash happens. This has also been reproduced on a trimslice (also running as armv7hl). We'll disable the ARM JIT in Fedora for the time being in order to avoid this crash. If anyone with the right experience is interested in working on this issue, we can ship hardware. Send me an email if interested. The workaround we were using to disable the ARM JIT in Fedora does not work anymore because the Heap code now requires JIT to be enabled (building 1.9.5). So the situation is a bit chicken and egg now. Has there been any progress on the original issue? this seems to affect all flavours on all arm hardware, the ubuntu slideshow also needs to be removed in preinstalled images, adding a livecd-rootfs task for this. having it crash on a tegra ac100 netbook crashes the installer but not X like on omap4 with the pvr driver, i get an error message there and am properly put into a rootshell afterwards. This has not yet been fixed in Raring and the SRU can not proceed until it has. Hi Laney, I've assigned you to this bug since you are the uploader of webkit in the quantal-proposed queue. Please note that this needs to be fixed in raring before it can proceed into quantal. Thanks! I was kind of hoping to avoid multiple webkit uploads and to just copy the SRU up to raring as the versions are the same. But oh well, to make the best of the situation I've just uploaded the new point release to raring. You should be good to accept the SRU. * Fix symbol files (stupid size_t). Accepted webkit into quantal-proposed. The package will build now and be available at http://launchpad.net/ubuntu/+source/webkit/1.10.0-0ubuntu1.1 in a few hours, and then in the -proposed repository.